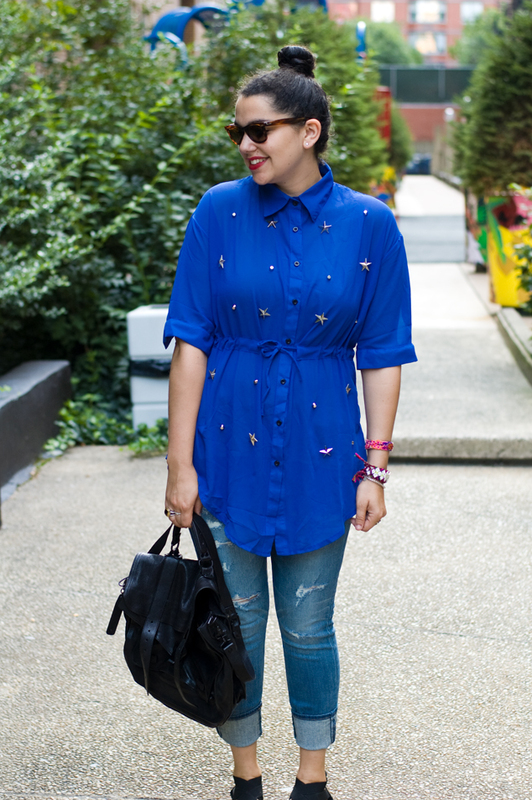 I saw this blouse on Sheinside.com and thought to myself, "studs, stars... hells yes". I love how it has the option to synch at the waist. I'm already contemplating ways I can wear it for fall and winter. I realized I have not utilized song names in any of my post title's yet. I love love love the blouse! embellished is my new favorite look! Love it. your blouse is very interesting! such a striking shade of blue... in love! Loving the top! Perfect color! Wow! 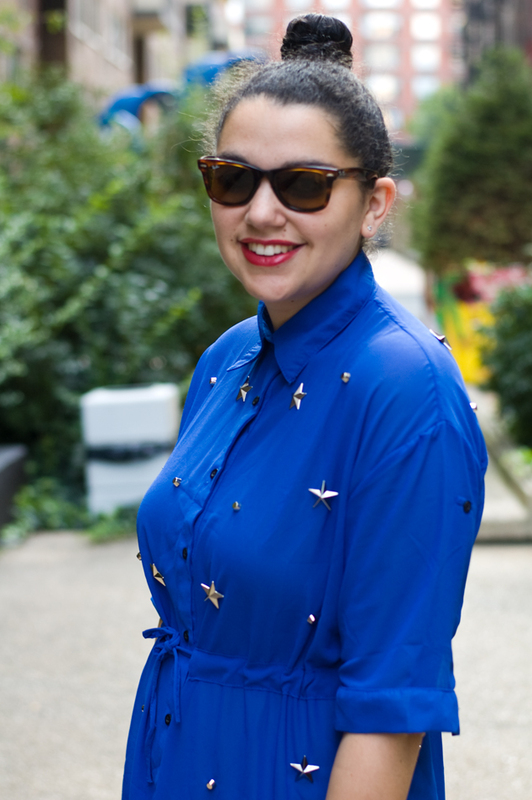 I am completely loving that top and the fact that the stars/studs are actually stuck on and not just on print. Love the appliques on your beautiful blue shirt! I love your blouse. You look great as always! I love the blouse. The stars make it really unique, and that blue is such an intense and lovely blue! Great blouse - I love the color and the embellishments, it really makes your outfit pop!